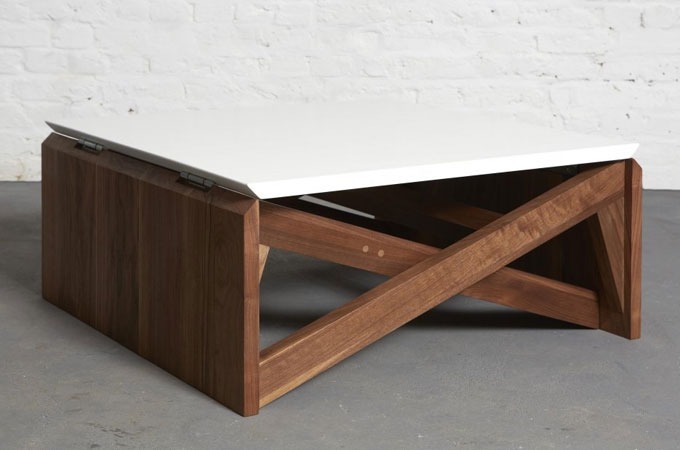 We love this table, MK1 Transforming Coffee Table is a multifunctional furniture for small space apartment. This furniture can be converted from a coffee table to a dining table with simple setup, just like a robot in disguise. 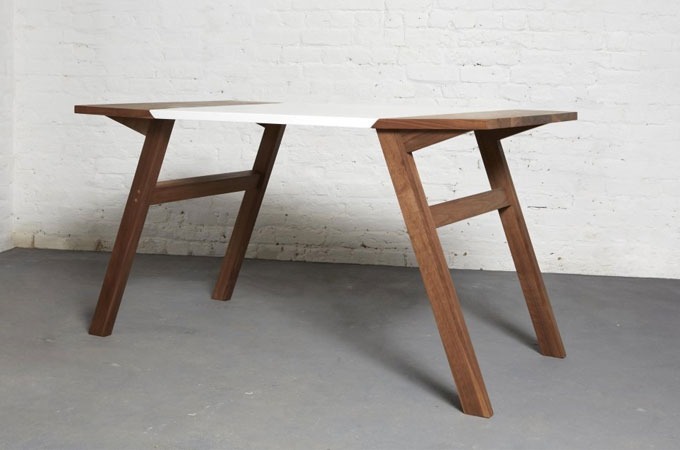 Available in Solid oak, Ash or Walnut and high grade birch plywood, all materials are sourced from managed forests and other controlled sources. 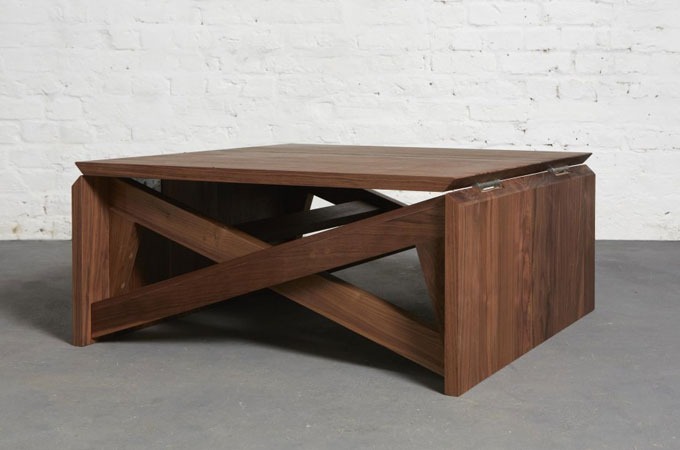 You can have one small area for living/dining room with this table.